Steve Jobs was a great innovator. There are no two ways about it. Whether you like Apple’s products, whether you use the Mac or the iPod or the iPhone, or whether you are a fan of Pixar animation films, or even if you have never used any of Apple’s products, you will have to agree that his creations were of a disruptive nature. Products that were ahead of their times in most cases, and set the tone for the rest of the industry quite often. From a design and usability point of view, there is no doubt that Steve Jobs was a genius – an engineer’s brain with an artist’s heart. But more than that, he was a master marketer. And in Apple, he created a company that became an investor’s delight. Someone who consistently created products that had so much appeal that people loved it, almost irrationally. So much that they cheerfully paid the high price that Apple products commanded. That too, in an industry which is more or less commoditized. Apple not only created products and made money on the devices, but they made it before everyone else came in and dropped the prices. In many cases, Apple succeeded in maintaining their prices despite competition, even raising them for future upgrades, and people happily paid them. Apple never spent any significant money on mass marketing. You never see any Apple ads on TV or any media, like you see the Sony, Nokia and Samsung advertisements. And in a commoditized industry, not only did he create products that were differentiated in user experience and built the marketing brand for people to pay the prices, but he also created a business model where he could convince his users to repeatedly come to the ‘iStore’ to buy more stuff from Apple. What more could an investor ask for – a ‘moat’ around the product experience, serious price protection due to the brand, and repeat purchase due to the business model – especially in an industry that was not known for it. An industry that was known for low margins and short product cycles. Except Sony perhaps at the height of their fame (and not sure any longer), no other brand in the consumer electronics industry is loved as much as Apple is. While he is known as the product innovator and the design brain behind Apple, and as someone who followed his love and passion for bringing usability into technology products; his ability to create an excellent business with such superior economics which, hopefully, stay even after him is, perhaps, the real genius of Steve Jobs. Whether those amazing business characteristics stay on after Jobs is something that time will tell. 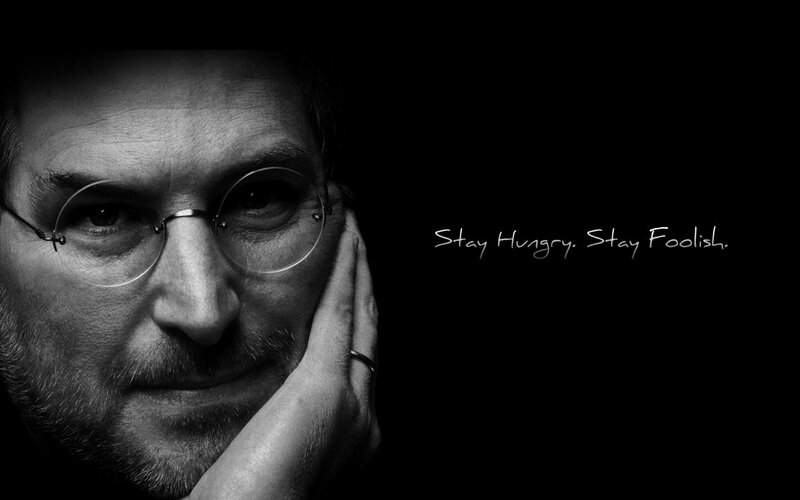 But Steve Jobs definitely gave it his best shot during his lifetime – staying hungry and staying foolish almost till the very end. Rest in Peace!